The Crowded Closet is a non-profit thrift store and international gift shop. We are located at 851 Highway 6 E in Iowa City. 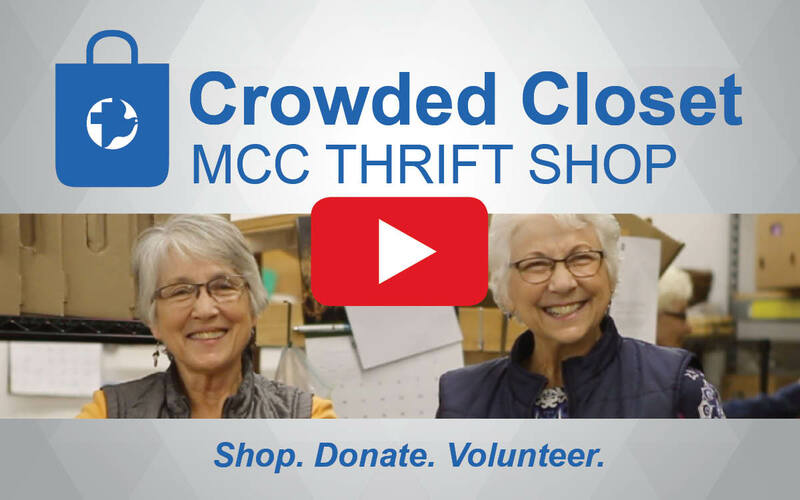 All the profits of the Crowded Closet go to support Mennonite Central Committee, a global relief and development agency, as well as local community relief and service organizations. ​The thrift shop sells donated goods: clothing for men, women and children, housewares, furniture, toys, books and antiques. The Gift Shop sells handcrafted items from around the world, purchased from fair trade organizations. Stop by the Crowded Closet and spend some time shopping "where every purchase is a gift to the world."